Sales are down, but a few manufacturers are enjoying success. June’s auto sales figures came out today and for people taking an extended four-day weekend to celebrate America’s Independence Day, poolside chatter may have silenced the news. Nevertheless, some of us are on duty — including yours truly — tracking certain auto trends or should I say sales trends, which we’ll amplify here. To that end, the following are the chief takeaways for the first six months of the year as well as my guess on what the remainder of the year may look like. 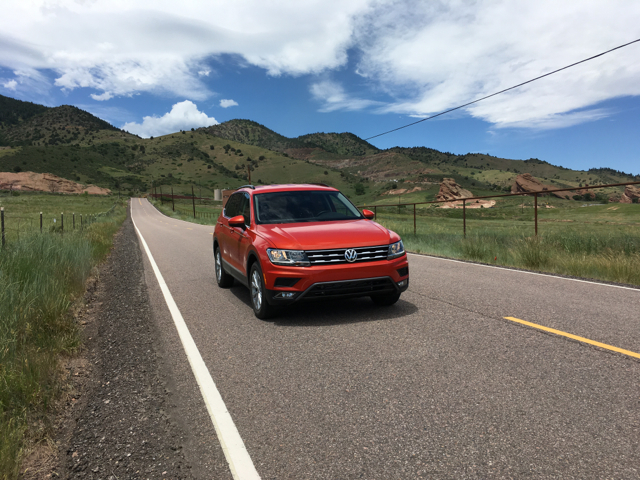 New models such as the 2018 Tiguan should help Volkswagen finish strong this year. 1. The sky isn’t falling, but sales are slipping. US auto sales are down 2.1 percent year-to-date through June 2017, what represents only a modest decline (8,456,896 v. 8,641,718). Still, experts now see yearly sales falling short of the 17 million mark and that concerns some. One big concern doesn’t have much to do with sales numbers, but how those numbers come about. Specifically, customers are buying in part because of big, costly, profit-eating incentives. Coinciding with June’s sales release story, Automotive News reported that the average new car incentive offered by manufacturers was $3,550 in June, up slightly over the previous month, but 9.7 percent higher than a year earlier. Price discipline is something automotive executives talk about and insist that they’ll follow as sales begin to slide. But, if the dam breaks, incentives may push ever higher — that’s terrific news for consumers, but not so much for each automaker’s bottom line. 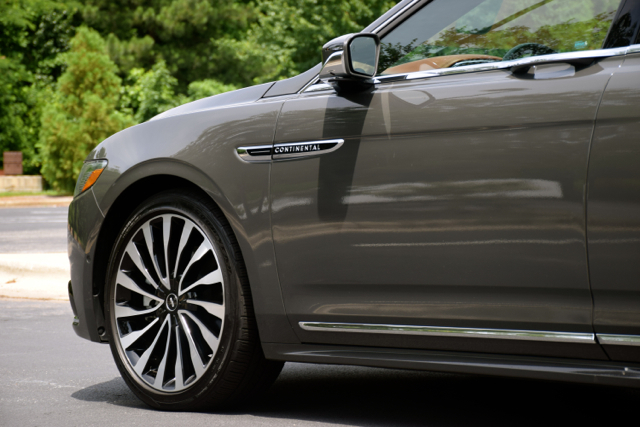 Continental sales continue to power Lincoln’s renaissance. 2. Is Tesla on the brink? Tesla Motors has long enjoyed out-sized news coverage despite its relatively minuscule sales. Indeed, for a company that recorded just 22,000 units sold in the second quarter, it is receiving a lot of press. As a point of comparison, Ford sells as many F-150s in about 10 days. But Tesla is the darling of the stock market, environmentalists, and technology fans, so it merits attention. Moreover, CEO Elon Musk dropped a bomb today when he said that the Tesla 3 is ready for production, with the first model slated to roll off an assembly line this Friday according to Reuters. This means the $35,000 sedan has received federal approval and the first 30 people who ordered one will take delivery by the end of the month. Importantly, this will be the first time Tesla released a model on time. Also of importance, the all-electric automaker anticipates production ramping up fairly quickly, hitting 20,000 units per month by December. Heck, this long-time doubter may soon become a true believer if Tesla pulls this off. sales when the compact sedan debuts this month. 3. What’s up with Jeep? Fiat Chrysler is not having a banner year. Sales are down 6.7 percent with only Ram (up 7.6 percent) showing an increase year to date. This also means Jeep is down and that brand’s 12.7 percent sales drop accounts for more than half of FCA’s first-half pull back. That Jeep sales are down is a curiosity. Customers are shifting their purchases to SUVs and that’s all that Jeep makes. A new Compass is out, but sales are down by 49 percent. Patriot sales are also down by 49 percent, but that model is being phased out. Cherokee sales are down 19 percent and that represents yet another drag on the brand. The good news for Jeep is that an all-new Wrangler is due by year-end. That release alone will begin to turn around sales, but it may not be enough to offset the earlier losses. Two overarching concerns about the brands are as follows: 1), Jeep pricing is high on some models, such as the Cherokee. Customers are price sensitive and will look elsewhere if they find a better deal. 2), Jeep quality routinely trails nearly everyone. Although the quality wasn’t a factor when sales were robust, it may be a larger factor than before. 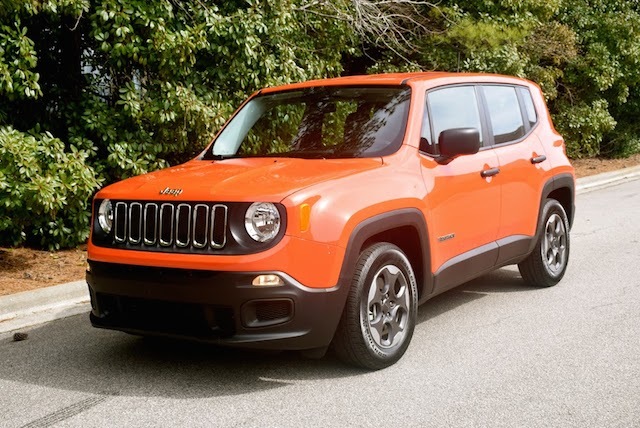 Renegade sales aren’t enough to offset Jeep’s decline this year. 4. Nissan may overtake Honda. In most every other market in the world, Nissan outsells Honda. In the US, Honda almost always beats Nissan and in some years, decidedly so. Nissan has started the year strong before, only to see Honda slip past them once summer ends and sales pick up steam in the fall. That happened last year, but this year things are looking up for Nissan. And we’re not including Mitsubishi sales in that number even though Nissan now has a controlling interest in the junior automaker. Last year, Nissan had a 5,700-unit lead at the halfway mark. This year, its edge is almost 20,000 units. 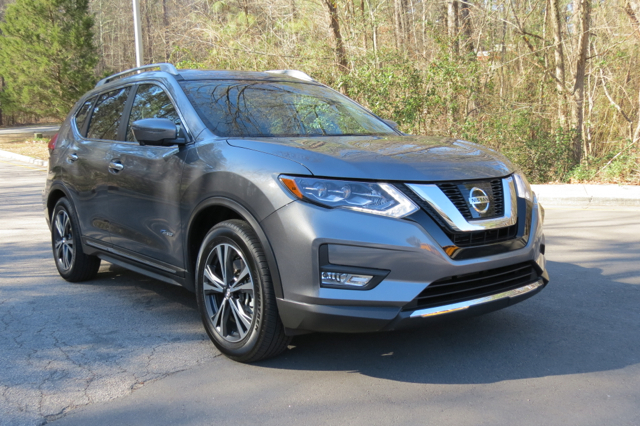 Rogue sales alone may give Nissan the victory as sales are up a whopping 31.4 percent to 195,689 units. There’s a very good chance Rogue sales will top 400,000 units, even dethroning the Toyota Camry as America’s best-selling “car” in the process. This compact Rogue is helping Nissan to a greater share of the sales pie. My best guess is that sales will fall this year and could take a nasty tumble if the stock market has a major correction. Automakers say they always anticipate a drop, but until it happens, they plan for ever-increasing sales. Nissan, Jaguar Land Rover, Subaru, and Volkswagen seem like the best bets to gain share this year, along with specific brands such as Ram, Buick, Lincoln, Audi, and Porsche also benefiting. Tesla Model X photo copyright Tesla Motors. All other photos copyright Auto Trends Magazine. All rights reserved.